Validated orders for which payment has been received are generally dispatched within 24 hours (Saturday, Sundays and South Afrincan public holidays excluded). The Company uses a reputable Courier company in our efforts to ensure that you receive your goods in a timely manner and in good condition. As soon as you receive your parcel please check the contents - if there is any damage please note this on the Waybill and notify us ASAP. For Definitions used through-out these policy’s please see the Terms and Conditions page. Clients who wish to exchange goods, must do so within 14 calendar days of delivery. Goods must be unopened, undamaged and in the original packaging. All costs of returning these goods to the MyPartySupplies offices will be for your (The Customer’s) account. 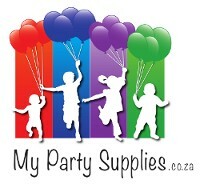 A voucher to the value of the Goods returned (unopened and undamaged) less 10% (Ten Percent) handling/restocking fee will be issued to the client which can be redeemed on www.mypartysupplies.co.za. Vouchers may only be applied to goods and may not be applied to courier / shipping fees. Clients wanting a refund shall be subject to the EXCHANGE terms above Mutatis Mutandis and must follow the same process. For the avoidance of doubt no credit slip or voucher (as the case may be) will be issued until The Goods have been returned, free of any re-delivery fees, to the offices of My Party Supplies in good order and condition. Goods may be returned to My Party Supplies if they are faulty, defective, the wrong item or the incorrect size for either a refund or replacement. Any items to be returned must be returned unopened in the original packaging and in good order and condition within 14 (FOURTEEN) calendardays of receipt. The Company is unable to accept returns of any items not received within the 14 (fourteen) calendar days as per 2. above. Returns must be arranged at your (The Customer’s) own risk and expense and the tracking number to be emailed to The Company. However if the incorrect item has been received we (The Company) will bear the cost of the return courier service. The replacement item will be re-delivered to you at our (The Company’s) expense. A refund of cost of the Goods is wholly conditional upon the above conditions being met and the item being fully inspected by The Company. Our shipping and returns policy is indivisibly linked with our Standard Terms and Conditions - please ensure you read and understand these.